No one can be all things all of the time! That is a very important wisdom to acquire as soon as possible. One may as well do it now rather than later. Wisdom comes from unexpected sources ... and we need to keep an open mind about these. Young Cyber Age writers like Ev Bogue who I stumbled across when searching for the Internet are inspirational. His ‘unthethering’ concept is paradigm shifting – but then he does paradigm shifting on a daily basis. Unthethering is a Big Subject – Ev addresses it at the individual level/small business (mostly) ... but it applies equally to the Large Enterprise as well. Unthethering (defining it as a 'wise letting go') will promote Sustainability. But coming back to the unexpected sources of Wisdom. It could be sitting next to you on a plane as you fly to and from business trips. And I should say before carrying on that in our business of promoting Sustainability we see it as an all-encompassing thing, at the very least a triple-bottom line concept. Green is not just environmental, it is the Colour of Sustainability in its fullest. Our green is as green as it can be – certainly Full Triple Bottom Line. It was what he hoped for … but we have intuitively always seen it this way from the start. For us, Green is immersed in a sense of Harmony as well … and Harmony is only possible in an abundance of Compassion. Wisdom did sit next to me, on a plane as I was flying home the other night, and it was speaking with a French accent. The passenger next to me seemed to be a first time flyer. Evening flights are perhaps more conducive to communication as the challenges and stress of the day are behind one. He needed to tell me how much he loved the view as the plane took off, with the city lights stretching far and wide below. “Your first time?” I asked, but he said no. Some time later he then asked if he could read one of my two papers. I replied he should go ahead, we could swop when I had finished the one I was busy with. The moment came when I was done with the one and ready for the other. Did mine contain anything on Gaddafi, he asked? 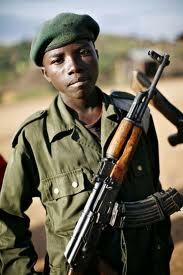 He had met him when he was a young soldier, still a teenager, in the Democratic Republic of Congo. He had even shook his hand. The French accent explained his origins. How could Gaddafi have allowed himself to die so ingloriously, begging for his life? We were in agreement – inasmuch as we also agreed that Gaddafi had been merciless and cruel and should have answered for crimes against humanity in an international court of law. We then switched to sport. The passenger loved the Blue Bulls … and he had hoped that the French would win the Rugby World Cup. Coming from one of the Francophone African countries that made sense. He had been in Rwanda as a soldier of the Democratic Republic of Congo, a teenager in the days of genocide, part of a rescue military unit. Somewhere in his young soldiering days, and he was a mere thirty something still, he had been involved in an accident and had lost the use of his legs. As speakers of Romance languages, him French and me Italian, we spoke of how awful the English sound when they speak Italian, with their closed vowels. They should express O in its Cosmic Grandness instead of hiding it inside their mouths. I told him Italians are puzzled by me when I land there with my Italian passport – I sort of remind them of the English but my Italian is too authentic. Then we laughed about the English food, the thin white bread cucumber sandwiches especially! When I first saw Big Ben though, as I emerged from a station in London, I felt an emotion. After all English Speaking Italian South Africans are English too. We should be what the Melting Pot in which we find ourselves means us to be. There is a poignant documentary made by Vaughan Smith with footage of an African American medic desperately trying to save his Hispanic American fellow soldier. The soldiers who had brought the fatally wounded soldier to the chopper were probably all Colours of the Rainbow too. Most Americans are Americans first and foremost – like the Brazilians are Brazilians. Coming back to the DRC veteran, even in the tragedy of his life he beamed! He told me that he had experienced a great love … and this is the catch: not the experience that one would immediately think of. They had come across a burning hut in Rwanda and in there was an old woman. Humanity prevailed heroically and she was rescued. It was the young soldier that she turned to in showing her gratitude. She had sensed his fear, and like a grand mother would and should, she said to him: “Give me your hand”. “Do not fear Boy Soldier, my Love is with you”. He said that after that he did what he was supposed to do, resigned to whatever the outcome would be. He can still feel the Connection of That Moment … providing strength even now in his sad circumstances. There is something very Sustainable in that short engagement of Boy Soldier and Grandmother. We just continued speaking … although for a few seconds after the story of the old woman I did not dare say anything, struck as I was with the emotion of the moment he described. When we landed I waited until the very end, until the wheelchair came for him, and we were the last two passengers. I wished him well and said goodbye, shaking his hand … the very same that had been kissed by Humanity, by the Compassion that runs in all of us if only we would let it flow.